Avengers: Endgame is now only mere weeks away. I’m sure some of you are planning some major MCU marathons in that time, not unlike our own maddening attempt last year before Avengers: Infinity War, but that’s not going to be for everyone. Whether you don’t have the patience, or just want a quick cheat sheet before the final showdown with Thanos, co-director Anthony Russo has picked the two movies you have to watch to get caught up with the MCU before Avengers: Endgame. Unsurprisingly, the younger Russo brother has picked some of his own MCU efforts, but for very good reasons. Speaking to Fandango, Anthony Russo explains that although “people who haven't seen anything [can still enjoy the movie]” there are two touchstones that everyone should get round to watching at some point before Avengers: Endgame rolls around. “I would say, certainly, Civil War and Infinity War are probably the two biggest lead-ins to this movie,” says Anthony Russo. Avengers: Infinity War is, well, duh. That’s a direct prequel to Endgame, so you need to watch it, but Captain America: Civil War is a more interesting. As Russo explains, it’s because “[Civil] War created the situation where the Avengers were divided,” and things obviously need to be patched up between Cap and Iron Man before they take on the Mad Titan. 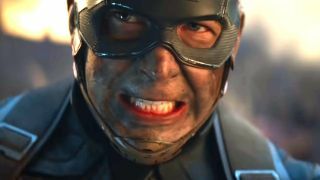 The Avengers: Endgame ending isn't too far off, so let's take a look at the big questions leading into the grand finale.